Whether or not you’re planning to embark on a career in show business (there’s no business like it, folks), having a pearly white Hollywood smile is probably quite near the top of your beauty lust list. 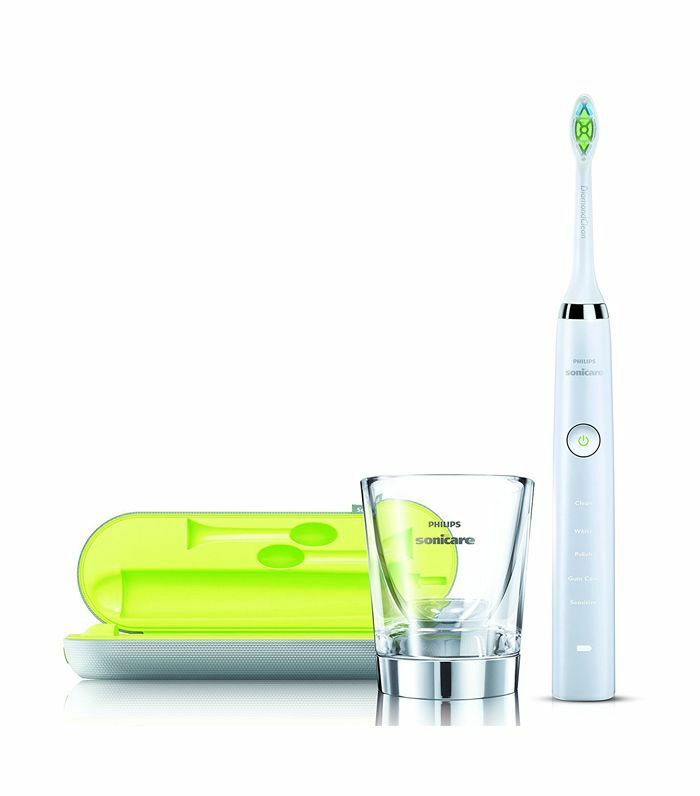 But is finding the best electric toothbrush the key to a whiter, brighter smile? It could be. Keep scrolling for everything you need to know about turbo-charging your routine. The main causes of tooth discolouration are ineffective brushing and plaque buildup, which if left untreated can lead to tooth decay (a far bigger problem than less-than-pearly whites). So is an electric toothbrush better than a manual? It is estimated that on average, an electric toothbrush is twice as effective as a manual. So it’s more about brushing technique than the actual brush—but electric brushes cut down on the chance of a poor technique affecting dental health (and the resultant discolouration of teeth). So can switching to one of the best electric toothbrushes help? We turned to the “King of Smiles” (his actual work name), celebrity dentist Richard Marques, BDS, of Wimpole Street Dental, to give us some answers. Q: Is It better than a manual toothbrush? Will finding the best electric toothbrush lead to a whiter, brighter (and healthier) smile? “Electric toothbrushes are very effective when used properly. They are advancing all the time and can really improve teeth and gum health,” Marques tells us. Q: How many brush strokes per second? “They typically vibrate at 260Hz (260 times per minute), which translates to approximately 31,000 brush strokes per minute (10 times faster than a conventional electric toothbrush). However, by not rotating or oscillating, they do not abrade or wear the enamel. Furthermore, they are able to clean the teeth via cavitation which is producing a foaming, bubbling action from the toothpaste and water, which can clean around and between the teeth.” Marques does warn that you still need to be careful with your electric toothbrush (or manual, come to mention it). 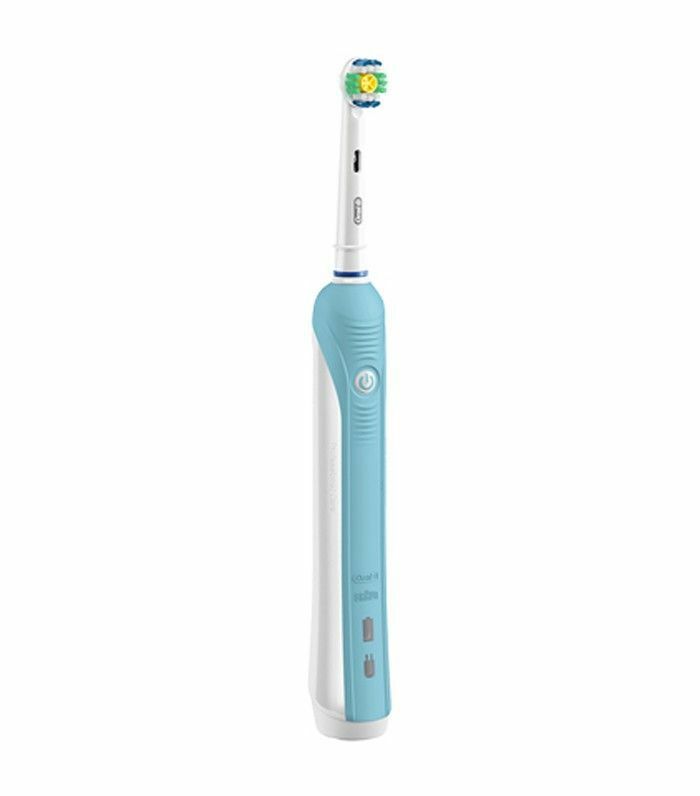 Here are a few of the best electric toothbrush options out there right now. Promises to remove up to 100% more plaque and whiten twice as well as a manual brush. The diamond-shaped bristles provide a bigger surface area for improved cleaning, while a two-minute automatic timer tracks brushing time. There are five brush modes, including clean, white, polish, gum care and sensitive. This gentle, hygienic design is the perfect choice for those with sensitive teeth and gums. It channels 11,000 pulsations per minute, and the soft silicone bristles are effective at removing stains for a whiter, brighter smile. This innovative brush has been praised for preventing damage through over-brushing. And it’s really pretty, too. 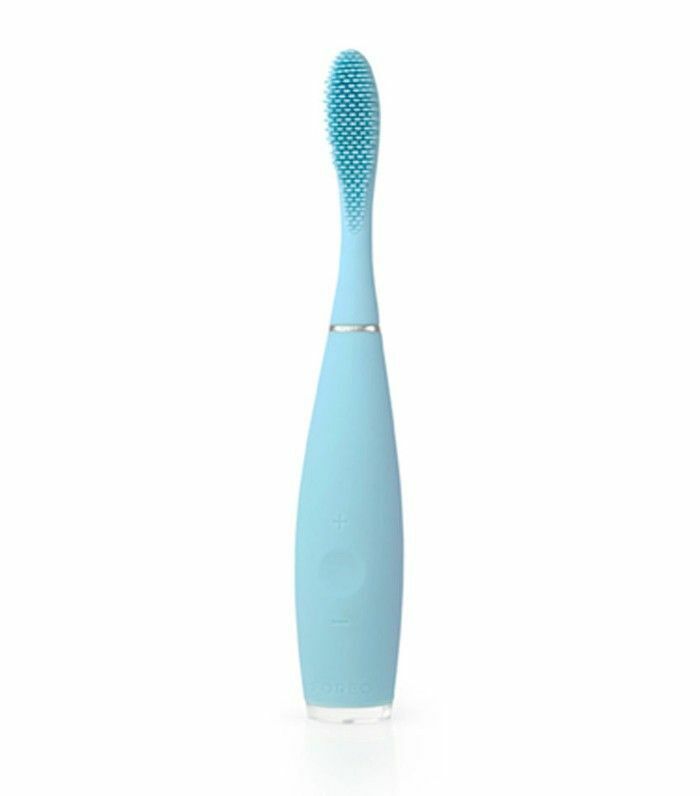 Designed by dentists, not only does this rechargeable toothbrush clean teeth and prevent plaque for healthier gums, but it’s more aesthetically pleasing than most electric toothbrushes. This Oral-B brush is one of the most popular everyday choices. The round head mimics professional cleaning tools used by dentists, while the FlossAction brush head gets between teeth and along the gum line for a deeper clean. 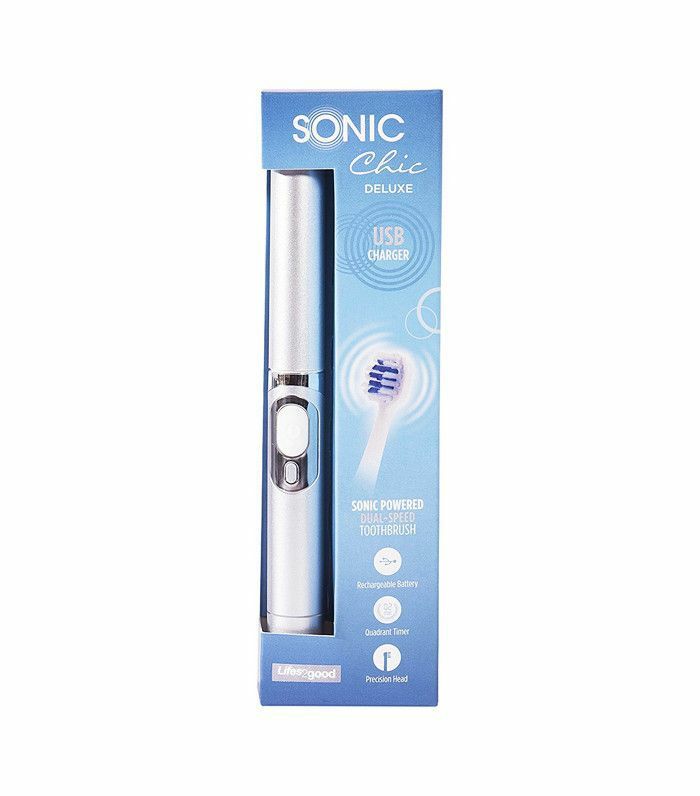 This battery-operated portable toothbrush has a clever mascara-style cap making it a great compact choice to carry with you everywhere. It vibrates at two speeds either 28,000 or 32,000 brush strokes per minute and runs on a rechargeable battery that you can charge using a USB cable. Next up! How to stop grinding your teeth.